Ever since I wrote my mother’s story, Cherry Blossoms in Twilight, I love to read other people’s memoirs written for either children or adults…Red Scarf Girl, Christmas at Long Lake, Three Dog Night. I also love to write reviews on Amazon to help others decide whether a book would be of interest to them, and I usually only write reviews for lesser known books (who needs 101 reviews of Water for Elephants?). Doing reviews is fun, and it also hones the writing skills because not only can you practice thoughtful and concise writing, you are forced to think about the strong and weak points of a story, what you liked and didn’t like about the writing. There is actually an art to good book reviewing…and that involves more than how NOT to reveal too much of the plot! June is “Book Reviewing Month” at Blogcritics Magazine . 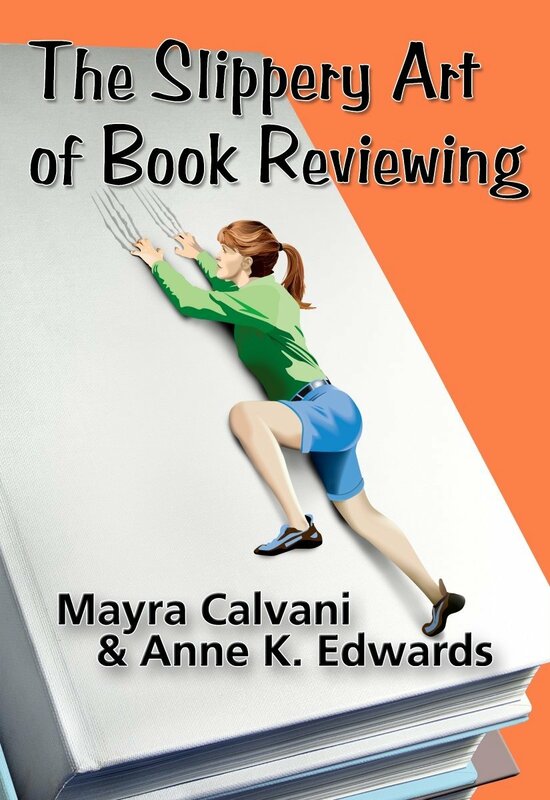 To promote the release of The Slippery Art of Book Reviewing, author Mayra Calvani will be interviewing 15 review site moderators during the month of June (At Blogcritics, click on Books and look for Mayra’s articles). I will be excited to learn more about the business of book reviewing and hear from some of the most popular reviewers on the internet today. Guests will include big names in the reviewing world: Alex Moore from ForeWord Magazine, James Cox from Midwest Book Review, Irene Watson from Reader Views, Andrea Sisco from Armchair Interviews, Sharyn McGinty from In The Library Reviews, Lea Schizas from Muse Book Reviews, and many others. To see the complete lineup, visit: The Slippery Book Review Blog. Stop by Blogcritics during the month of June and leave a comment under the reviewer interviews for a chance to win a Pump Up Your Book Promotion Virtual Book Tour (coordinated by book marketing guru Dorothy Thompson), OR, for a non-author winner, a $50 B&N gift certificate! I’ll be checking in regularly.